Today, I officially submitted The Truth About Alex for review on CreateSpace! Before that happened, I adjusted the footer margins within the book to allow the page numbers a bit more breathing room, and made modifications to the Monsoon Morning sample that’s included at the end of the book. Printing the file to PDF became less painful every time I did it, and I’m very glad that I was using PDFWriter, or else my Mac would have printed the file at 8×11, which as you all know, is NOT the planned format of my print book. So far, CreateSpace has been less painful than I had imagined. 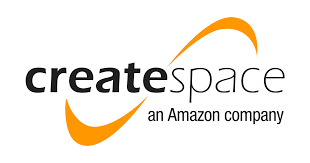 Upon uploading my PDF, I opted for a free CreateSpace ISBN. This number will allow me access to a broader distribution than if I had paid for one (option two) for ten dollars. I went with the glossy finish for the full cover, and the CreateSpace reviewer was pretty fantastic as far as previewing my final manuscript goes. Still, I have to wait 24 hours for all of my information to process (that includes tax information) before they will give me the opportunity to order a proof copy. The proof is essential, because I want to be able to hold the book in my hands first, and determine whether or not this is a good looking product. In the meantime, there’s no reason for me to be sitting on my hands. Monsoon Morning still needs a final run through before going out to my betas. There’s work to be done, and no time for stopping.